There is a particular time in the year during which, as compared to most other days in the year, you feel like your heart strings are tuned to melodies of romance, a day, when in the sweet anticipation of your beloved’s arms around you, sleep doesn’t come easy, and the presence of others’ voices is a blur and all that the ears want to embrace is a special voice. Tears ripple on the rims of your eyes, unbeknownst, when the other is about to whisper something like ‘Be mine’ or simply, ‘I love you’. And then there’s the smile – simultaneously bright and shy - synonymous to an agreement, a promise, of togetherness through good and bad times. It is time to love, a time for love – it is Valentine’s day. Celebrated in thousands of countries across the world on the 14th of February every year, Valentine’s Day is a day when Love matters the most – as it should! 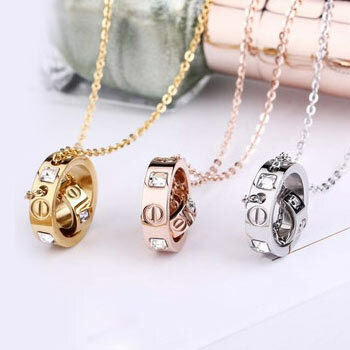 However, just like carving the right words that really convey the extent of love you feel for your beloved is not that easy, not always at least, finding that perfect gift for her or him can often prove to be a challenge. And it is going that extra mile, putting that extra effort in choosing a present which makes all the difference, again, as it should! At Giftcart.com, we are with you through this celebration! Here’s how. Giftcart.com brings you the best romantic gift ideas this Valentine Week 2019 to express your care and love for them, this is the time to reinvigorate your romance and take out some special time for them and fill any voids and get immerse in the feeling of love once again. At Giftcart.com, we help you choose Valentine’s Day gifts online that will perfectly match up to the words that make your beloved feel the most special on Valentine’s Day. Alongside a breathtaking assortment of online Valentine’s day gifts lined up for you, our gifts also come with easy return, refund and replacement opportunities (for damaged and incorrectly supplied goods) and also the option of deliveries to international destinations (applicable to certain products and categories). What’s more, you can buy Valentine’s Day gifts online with us no matter where you are in the world so as to be able to ensure that your special lady or man can have nothing but the best among Valentine’s Day gifts, no matter where they are in India! It is also our promise to you that we will have it delivered whenever you want – even in the middle of the night, if that is what you desire or even on the same day as when you order the Valentine’s day gift. Why wait then? Let’s get you started on some of the top gift choices you can make for your Valentine. With Giftcart.com, buying Valentine’s Day gifts online in India was never this easy. Now, all it takes is a click of a few buttons through our gift categories that comprise chocolate gifts, cakes and flowers and mouth-watering gift hampers/combos! Now the list hardly ends with these. At Giftcart, Valentine’s Day gifts get an exclusive high with a wide range of items that can be customized to your heart’s content! Imagine the pure delight and charming surprise on the recipient’s face when they receive personalized gifts with their names, or messages written by you for especially them, inscribed on the gifts! Won’t that be beautiful? 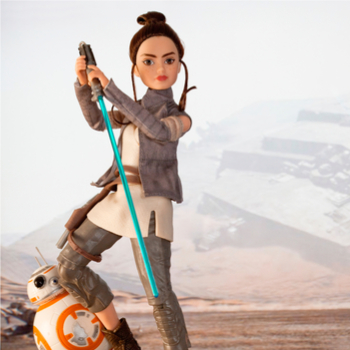 And the list of items that you can personalize? From mugs to clocks to cushions to chocolate wrappers and many many such heartwarming keepsakes. Buying and giving Valentine’s Day gifts online was never this fun, be assured. To you, your Valentine is someone who is extremely special. To convey to them how much she or he means to you, at Giftcart we are intent to serve you with such a variety of Valentine’s Day gift ideas that it will leave you spoilt! So let’s begin with the fact that the gifts on Giftcart are not only categorized as per ‘occasions’ (and do not forget to choose Valentine’s day when under that category), but are also categorized as per ‘recipients’! So whether you want to choose a Valentine’s Day special gift for your wife, or girlfriend, husband or boyfriend – there is a dedicated list of Valentine’s Day gift ideas for him and her to take your pick from. There is also a huge number of Valentine’s day gift ideas under men or even women. 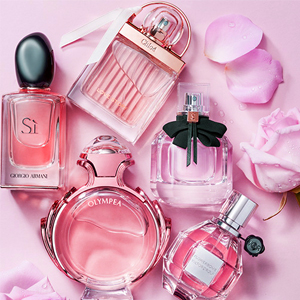 Further, if you know what exactly your Valentine likes, then you could choose directly from under the Valentine’s Day gift idea-categories like perfumes, photo lamps, gift hampers, chocolates, flowers, cushions and of course accompany any of these fabulous gifts with cards! While for some of you, whether you’re thinking of Valentine’s Day gift ideas for him or Valentine’s Day gift ideas for her, what might come first to your mind are cakes, chocolates and flowers – the usual fare, let’s say – for others, you might want to go click the gift category titled ‘events and sentiments’ and then go to the ‘I love you’ gift ideas! A wide variety of gifts ranging from soft toys, to jewellery to beauty hampers – there’s a world of Valentine’s Day gift ideas online waiting for you at Giftcart! And don’t forget, much of this you can personalize! To make a choice from such a huge number and variety of Valentine’s Day gifts online could be both exciting but exhausting, isn’t it? So how about, we give you a few ideas of some of the special online Valentine’s Day gifts that you could get for your beloved husband or boyfriend? How about an A4 sized-framed poster with the words ‘I am much more me when I am with you’ written on it? Or say a Swiss military laptop backpack? 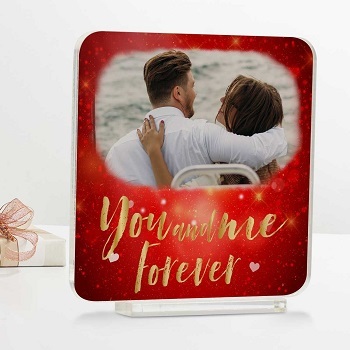 Another item that could be ideal as an online Valentine’s Day gift for him could also be a 3D crystal - that includes a photograph of you both - with a LED light base. Makes for a perfect Valentine’s Day gift idea for him, one that can help capture a memory for a long time to come! 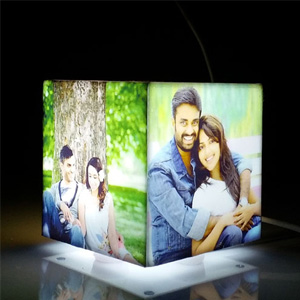 Apart from the quintessential perfumes and watches, this Valentine’s Day, you can really make it special for your husband with some heartfelt gifts like rotating cubelit mini lamps, heart-shaped photo puzzles, amazing gifts for couples – all of which could be personalized with photos and messages from your end! 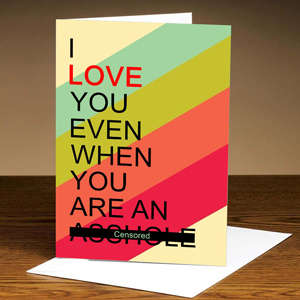 These online Valentine’s Day gifts for your husband are surely going to leave him at a loss for words, won’t they? Valentine’s day is an occasion when affection ought not to know proportion. So when it comes to showing and even showering that affection on a girlfriend or a wife, buying Valentine’s Day gifts for her online assumes great importance. 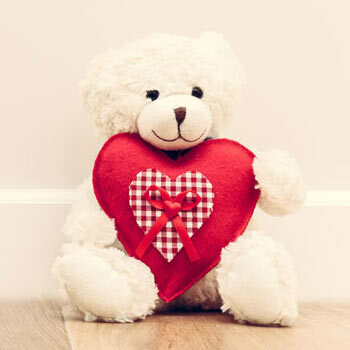 At Giftcart.com, we have some of the most innovative Valentine’s Day gifts online for you to choose from. Let’s share here some of those fabulous Valentine’s Day gifts for her. By the way, we have it all! How about a customized gold finger print ring, or a gold bracelet personalized with her name on it? Thinking about embracing her with the warmth of your love? Then, how about a love hamper comprising a cushion that can be personalized with a photograph of you both on it, five heart-shaped chocolates and a frame with an insert that says ‘I wanna give you all of me’? 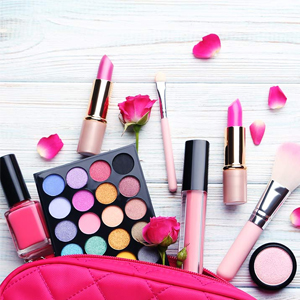 When it comes to buying Valentine’s Day gifts online for her, there is also always the beauty gifts like hampers containing bathing essentials comprising foot and hair brushes, a massager and also a cute teddy bear! Pamper her, for that’s what your Valentine deserves, isn’t it? If she is in India, and you cannot be with her, this Valentine, Giftcart will help your love reach her anytime, and just about anywhere! Sometimes, being far from the one you love is a painful experience. Especially if that is the case on Valentine’s day. On days like this, you desire to be with your loved one, your Valentine. But if that cannot be, gifts become one of the only ways to express your thoughts, your love to the one you love. 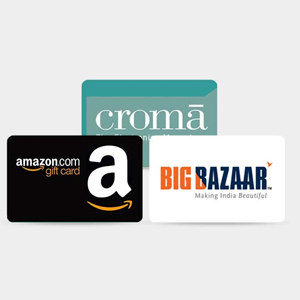 With Giftcart.com, you have the opportunity to send Valentine’s Day gifts to India from no matter where you are! Get to choose from the widest range of select Valentine’s Day gifts online and send it to the one closest your heart on a day that deserves your presence – in some form - by her or his side. 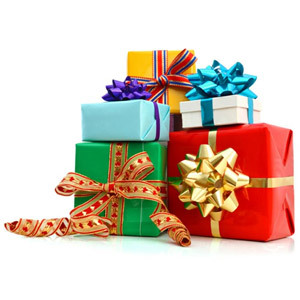 At Giftcart, we assure you that the gift will reach on time, in fact, whenever you want it to – even as a surprise at midnight! With our same day and next day delivery options, shopping for and sending Valentine’s day gifts couldn’t get more stress-free! What’s more, we deliver to most parts of India and to a few destinations internationally as well! 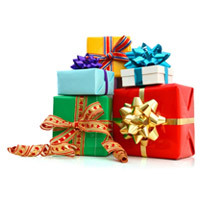 For us at Giftcart, our esteemed customers are our priority. Hence, no matter what the occasion, besides our fabulous and original gift ideas, there is always plenty of fabulous offers that make online shopping an absolute delight! Buying Valentine’s Day gifts online too, therefore, comes with some wonderful Valentine’s Day offers! Here are some excellent Valentine’s Day offers for you and your love. We have for you discount offers ranging from 17 to up to 48 per cent on products such as promise day-, rose day- and kiss day-mugs; on hampers containing handmade chocolates; on charming satin scarves; and also on perfumes from international brands like Jaguar, Calvin Klein and Burberry! But how’s that enough, one may ask. No worries, for there is more when it comes to Valentine’s Day offers on Giftcart.com! 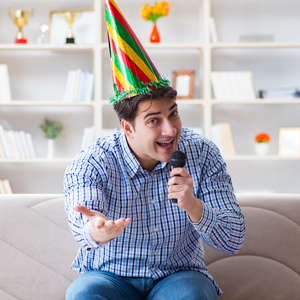 Imagine a site where when buying Valentine’s day gifts for full valentine week 2019, you also get a chance to personalize a song to be able to dedicate it to the one you love! As part of its Valentine’s Day offers, you can do that on Giftcart! Choose a song, enter the sender and recipient name in the given boxes on the site itself, select the 14th of February as the date for the song to be delivered and that is all! So be it ‘Titli si haseen’ or ‘Anjaana meri jaane’ –, this Valentine’s Day, fill the special one’s ears and heart with the melody of your love. And guess what, these personalized gifts come with a 25 per cent discount! Here’s superb gift ideas with superb Valentine offers - all worth your Valentine! So hurry, get on with it now! The word ‘romantic’ has a special significance when it comes to Valentine’s day. And when it comes to being romantic, nothing seems enough. There’s no ‘that’s it’ to anything, and the word ‘limit’ lies tamed by ‘love’. Thus when it comes to the day of expressing love in excess, Giftcart offers some of the most exciting latest Valentine’s Day gift ideas for girlfriend and boyfriend. To start with, there are some delectable options in chocolates: from bouquets of chocolates (from Ferrero Rocher and Dairy Milk), to brilliant combos that bring together an assortment of any of the following items - a heart cushion, a glass jar with six handmade chocolates, a gift box, teddy bears, among others, we have it all! And thinking of Valentine’s Day gift ideas for girlfriends and boyfriends, how could cakes be left behind? There’s your truffles, butterscotch, black forest, pineapple cakes, and even eggless ones to relish! This apart, there are irresistible options in flowers like tulips, roses and orchids and lilies in vivid colours and varied assortments. Now, for some, however, cakes, flowers and chocolate gifts may seem too run-of-the-mill when thinking of Valentine’s Day gift ideas for and boyfriend and girlfriend. For those who do not like to settle for the ordinary, there is our spectacular collection of latest personalized gifts for valentine 2019! 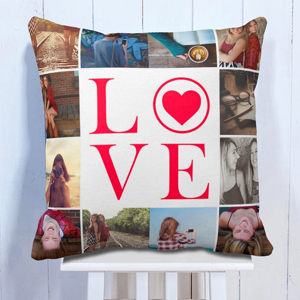 Cushions, mugs, clocks, plaques (which you can customise with your photos and personal messages) apart, imagine gifting your girlfriend, a 120-piece puzzle set that when put together has photos of you and your loved one on it! Or how about a set of seven 1.5-inch bottles each of which can contain a personal message from you? 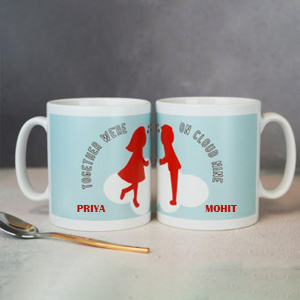 Through such personalized gifts, at Giftcart, we are giving you a chance to put together memories that live up to the love you feel for your Valentine. And talking of love and Valentine’s Day, best not to discount husbands and wives! 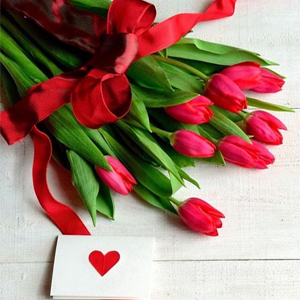 In Valentine’s Day gift ideas for wives online, one could include red velvet fresh cream cakes, special chocolate cakes or even flattering combos that bring together, alongside cakes, greeting cards and beautiful flowers like red and yellow carnations, orchids, lilies and roses! 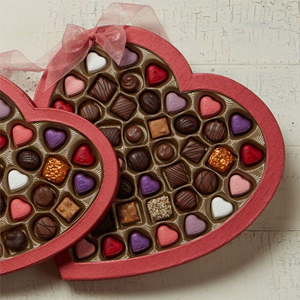 To add to the love in full bloom, there could also be fantastic chocolate gifts like the 7 chocolate bouquet that comes with a cute teddy or even an assortment of chocolates in a handmade tray! But why, one may ask, should Valentine’s day gifts for husbands and wives online be restricted to just cakes and flowers and chocolates? 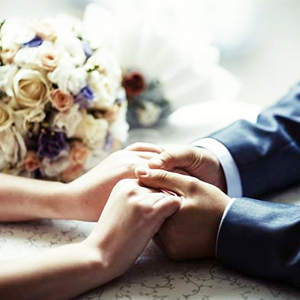 Their promise of togetherness ought to make Valentine’s Day special, one should think! 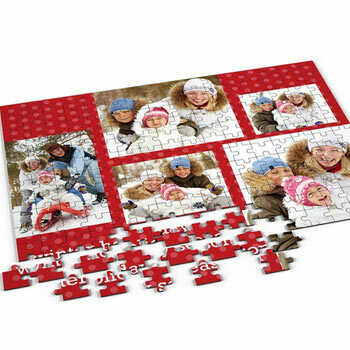 So the gifts must be a result of thought and heart, as is portrayed in our personalized gifts. So how about a personalized wooden textured couple clock as a Valentine’s Day gift for your husband? Or a personalized monogram eight-photo cushion as a Valentine’s Day gift for your wife? Husbands and wives, unlike girlfriends and boyfriends, have the advantage of time on their side – it is a togetherness of a lifetime. 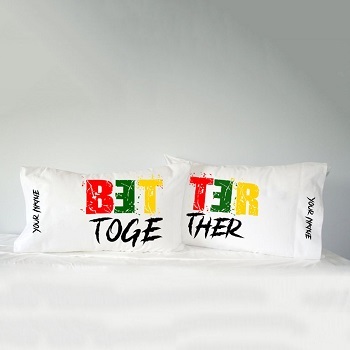 And so, on Valentine’s day, gifts with a personal touch should be an ode to that lifetime of togetherness. With such personalised gifts at Giftcart, and some really amazing last minute gifts for valentine we help make that happen. Still want to give some more? With gift hampers containing an assortment of items like jewellery, bathing kits, chocolates, candles, flowers, photo frames, tea lights and such like – your Valentine will certainly feel on top of the world. The countdown to Valentine’s Day begins a week ahead. So, why not make each day of that week special for your Valentine? 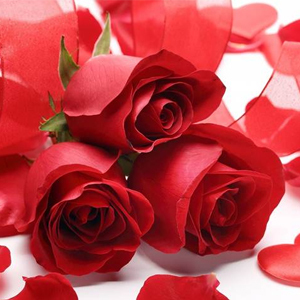 To begin with, on February 7th comes Rose Day. What if you began the week with a single red rose attached to which is a promise tag? 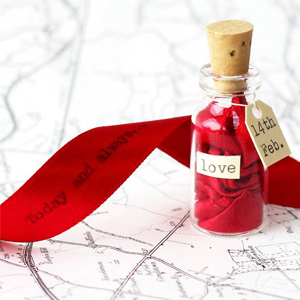 A subtle and beautiful way to make your Valentine feel the depth of your love, isn’t it? Besides, you also get to choose the promise you will make, one of many to come, perhaps! In fact, this could seem to just the right beginning to the week-to-come. Needless to say, when there is love, chocolates are a must! And so Chocolate Day celebrated on February 9th! 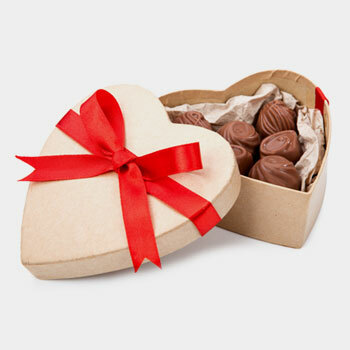 Spoil your love with any of the many assorted chocolate combos and hampers on Giftcart.com! We have Ferrero Rocher chocolate hampers and handmade chocolates to Dairy Milk chocolates combined with wafers, stoles, soft toys and much more! Following Chocolate Day comes the Teddy Day. They are lovable, cute and come in reds, purples, yellows and even in pink blush! 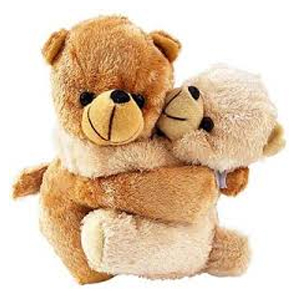 Gift your Valentine twin teddies, cookie teddies or even what we at Giftcart call, ‘Hold My Heart teddy’ – there is certainly no getting away from the warmth that these teddies convey, and what more does one need before Valentine’s Day than warmth, eh? 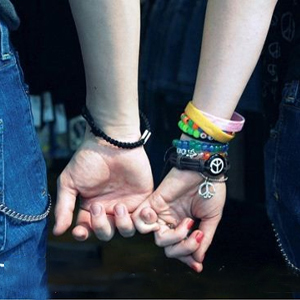 On the 11th of February, comes Promise Day. A promise is a precious gift in itself. 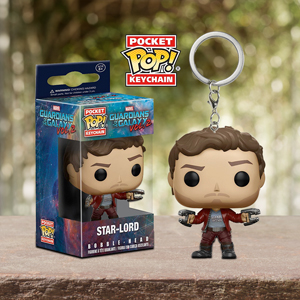 But what could possibly add to it is a gift from the startling collection of Promise Day gifts on Giftcart! The gifts can range from promise day mugs to personalized heart-shaped photo frames or even gold coins and metallic photo keychains. These gifts from Giftcart.com will truly complement your promise to be with your Valentine! Don’t they say, a hug a day keeps a doctor away? Well, maybe not. But it certainly does not keep love away! So on to Hug Day! Wrap your Valentine in the embrace of your love with some heartwarming Valentine’s Day gifts that you can order online on Giftcart.com from no matter where you are in the world! 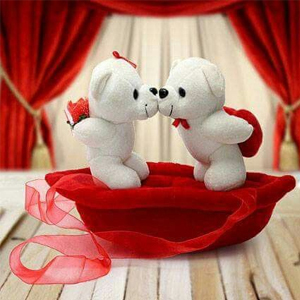 Just a day away from the Valentine’s Day, is Kiss Day! Complement the promise of love with affection and maybe even a love special chalk board that has on it written ‘I still fall in love with you everyday’ or ‘If love was a storybook, we’d meet on the very first page’! This Valentine’s day, start your story of love with Giftcart.com. And then, and finally comes Valentine’s Day: Celebrate the love that you will share for years to come with care, and let us in Giftcart.com, help you choose the gifts that will speak for you and your love, to your love. It is a keepsake for the love you get to keep for life.